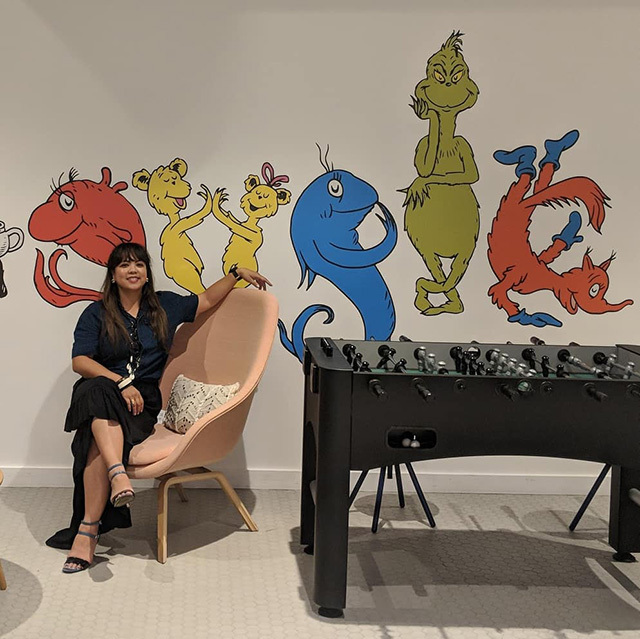 Here is a room at Google's Los Angles office in a Dr. Seuss theme. Many of the conference rooms are named after Dr. Seuss books. Google had a Doodle for Dr. Seuss in 2011. This photo was posted Instagram.